Michael: Hello Gavin. Firstly, thank you for the taking the time to facilitate this conversation. I appreciate the work you do within the community to share art making and keep everyone "in the know." Fabulous work. Well, I grew up in a small Ohio town. I come from a supportive family base that has inspired me to pursue dance and continually push myself in my art. My mother has a pretty wild artistic sensibility while my father, for all practical purposes, thinks in lines and function. I suppose I am a hybrid of both. I'm not rooted to the earth but not floating in the clouds. I think my work exists somewhere in between. Gavin: What first got you interested in dance and what was it like performing as you grew up? Michael: I blame A Chorus Line. I saw it once. I was hooked to dance. As a result of seeing it at age 17, I came into dance relatively late. My first class was in a small studio in Centerville, Ohio called South Dayton Dance Theatre. I walked into my first dance class (a jazz class) to a teacher who eyed me up and down and immediately asked me to get into the splits. She terrified me. She taught me the work it takes to succeed in dance. I respected her immediately. Gavin: What were some of the early lessons you learned prior to going to college? Michael: Wow. I learned many. I suppose the Golden Rule is one I was taught at an early age and continue to practice. You know, that whole "do unto others" bit. That and holding the door for people. Manners never go out of style. Gavin: What drew your interest toward the University Of Utah, and how was it for you coming out here from Ohio? Michael: I first heard about the program through a past undergraduate. As the result of her alumni status, and my interest in Graduate Education, I added the school to my list of possibilities. In addition, my sister lives in Park City. The odds continued to be stacked in its favor after my first visit. It fell into place perfectly. I actually came to Utah after living in both Los Angeles and The Netherlands for quite a while. Both places had a profound impact on my creative practice. Utah is the perfect place for me at this moment in time. I continued to be inspired by the diverse Artistic climate and the beauty of this city. It's an incredible place to live. Gavin: What has your time been like at the U in their program? Michael: Rigorous. Haha. The program is designed to facilitate the needs and interests of its dynamic and talented student body. The Graduate program has afforded me many opportunities that I am significantly grateful for. The faculty is outstanding and excel in their areas of focus. I feel very blessed to be here. Gavin: As of right now you're also a teaching assistant there, how did the opportunity come about? Michael: The opportunity arose through an extensive application process. Based on your prior experience, knowledge, and interests, Graduates are placed in an assignment that reflects both their strengths and the necessities of the department at that moment in time. It's also about the students. Considering your role as a T.A., you will be placed in a position that best serves the needs of the students. I am grateful for my roles as T.A. this year and feel I was placed appropriately. Gavin: Getting to this show, where did the idea for "The Dead Tree" come from? Michael: "The Dead Tree" arose from themes within William Golding's, Lord of the Flies. This controversial story has served as a catalyst for this dance theatre work. I have an incredible cast that enabled the title "The Dead Tree" through our extensive collaborative process. Gavin: What was it like for you to develop your own piece and form something completely from scratch? Michael: It was a blast. I love every minute of making work. Art—making and the freedom to create and share work in this country is a luxury. I try to never take it for granted. I have made a number of works from scratch. "The Dead Tree" is unique to my incredibly talented cast members. With such diverse training, backgrounds and approaches to dance, "The Dead Tree" serves as a metaphor for the diverse artistic landscape in this country. Gavin: How did the offer come about to make it a part of Boyhood for the Sugar Space? Michael: My co-producer and friend Ching-I Chang has presented work at Sugar Space in the past. 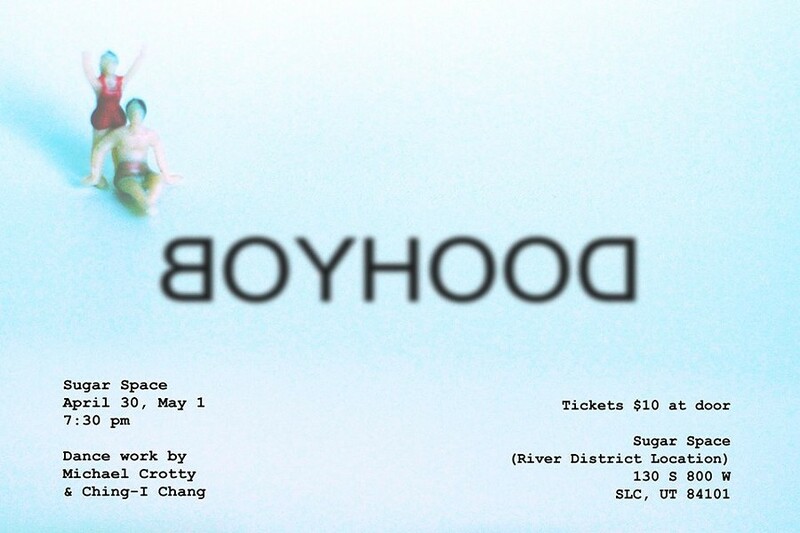 Prior to producing Boyhood, I had the pleasure of seeing works at Sugar Space in the in the Fall and Winter. The venue offers new and seasoned artists the opportunity to present work in a supported and intimate environment that fosters the development and support of both new and seasoned artists. 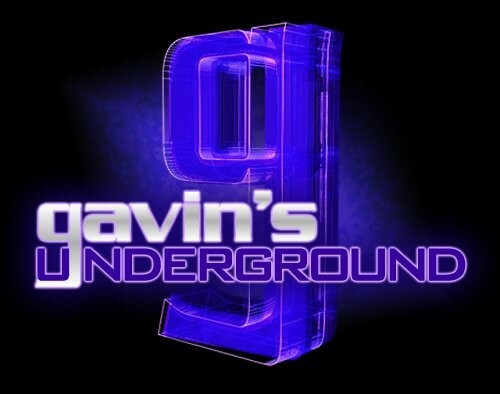 Gavin: What has it been like working with their organization in putting this short show together? Michael: It has been wonderful. Brittany Reese is a gladiator in this community. I am so grateful for all of the work she does. In addition, her assistant Breeanne Saxton has been incredibly supportive through this process. Gavin: Have you had a chance to see the piece from Ching-I Chang? Michael: I have. It is pure magic. As a true magician would, I am not obliged to share the magic secrets. Gavin: What do you hope audiences will take away from this set of performances? Michael: My hope is that they take away anything. All I can do is present work that I believe in and hope the match is lit. It's about that spark. The fire of art. Gavin: What are your thoughts going into opening night? Michael: I hope that everyone involved, including the audience, is able to escape in that moment. Gavin: What can we expect from you over the rest of 2015? Michael: I will be teaching Modern Dance within the Department of Dance at The University of Utah this summer. I will also be pursuing IMS (Integrated Movement Studies) certification as well as continuing to pursue Anouk Van Dijk's Countertechnique certification. In addition, I will also continue to create work utilizing the incredible community of artists in this city. 2015 has been a heck of a year. I can't wait to see what the rest holds.